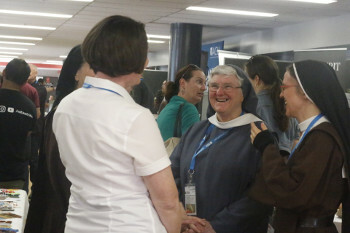 At the end of September, Sr. Hilda Scott was invited to participate in and speak at the Ignite Youth Conference held in Brisbane. Ignite is an ongoing initiative of the Emmanuel Community in conjunction with the Archdiocese of Brisbane. The Conference offers a wide range of activities and spiritual events for young people to engage in during the four days. These include talks given by a wide variety of speakers, workshops, prayer sessions, daily Mass, adoration, opportunities for the Sacrament of Reconciliation, times of community and individual meetings with some of the many mentors who were available for them to talk to. The young people came from a wide variety of backgrounds, age, cultures and locality. For some, Ignite is a yearly pilgrimage but for many it was a new experience. 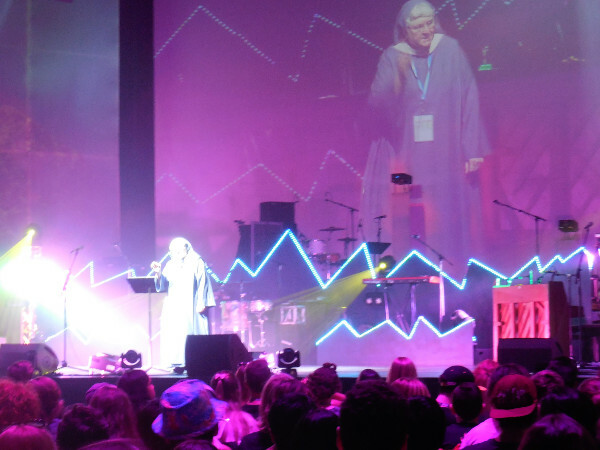 “One of the best talks I went to was a talk on prayer by a snowy haired Benedictine nun, Sr. Hilda Scott from The Abbey at Jamberoo south of Sydney. Most of us had tears in our eyes, it was so moving. She shared a real message of how much God loves us all”. Hilda was also very grateful for the gracious hospitality offered to her by Hilary and Brendan Scarce during her Brisbane sojourn. Hilary is an oblate of our community and she and Brendan, as members of the Emmanuel community, were heavily involved in the organization of this mammoth event. 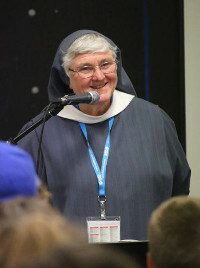 We have no doubt that this will not be the last time the Brisbane Youth Conference is “ignited” by our Sr Hilda Scott!